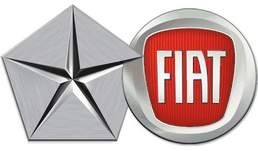 TURIN, Italy -- Fiat S.p.A. may buy the remaining U.S. and Canadian government stakes in Chrysler Group by the end of July, a person with direct knowledge of the matter told Automotive News Europe. On Tuesday, Chrysler Group repaid $7.6 billion in loans to the U.S. and Canadian governments, nearly two years after the No. 3 automaker was rescued. With the transaction, the U.S. government's stake in Chrysler has been reduced to 6.6 percent from 8.6 percent, and Canada's interest has been cut to 1.7 percent from 2.2 percent. The source told ANE on Wednesday that Fiat could buy these stakes as soon as the end of July. The move would increase Fiat's stake in Chrysler to 54 percent from 46 percent now, giving the Italian automaker a majority stake in Chrysler. The mechanism to determine the price of these two stakes would be the same as the one used for a 16 percent Chrysler stake that Fiat bought on Tuesday for $1.27 billion, the source said. The mechanism takes into account financial multiples based on the results of the previous four quarters, so Fiat could benefit from exercising options to increase its Chrysler stake before second quarter results are reported, the source said. The auto industry is benefiting from growing demand in the U.S., China, Russia and India and second quarter results are predicted by analysts to be considerably better than in the second quarter of 2010. As soon as Fiat and Chrysler's second quarter results are reported, they will become part of the four-quarter rolling period used to determine the price of the stakes into Chrysler Fiat is allowed buying. Fiat-Chrysler CEO Sergio Marchionne said Fiat had not yet decided on the timing to exercise its two call options, "but the more we wait, the more we would pay for it." He was speaking to reporters on Wednesday on the sidelines of the Lancia Ypsilon launch in Turin. Fiat has options to increase its Chrysler stake to more than 70 percent, Chrysler said this month in a filing with the U.S. Securities and Exchange Commission. Those options include the right to buy the U.S. Treasury's remaining stake in the 12 months after it repays the government. Fiat also has an option to acquire 40 percent of the original stake held by the United Auto Worker's retiree health-care trust, Chrysler said. The option is exercisable from July 1, 2012, to Dec. 31, 2016, and in amounts of as much as 8 percent in any six-month period, according to the filing.